I never knew its that simple to create nice sunny feel in Lightroom. 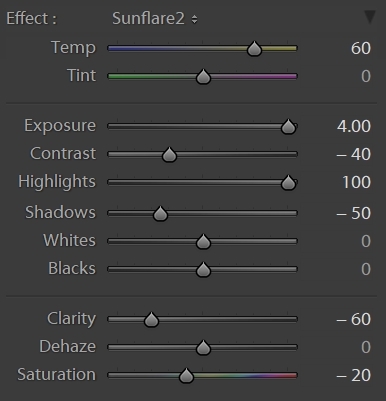 Here’s my sun flare preset. You can use it with Adjustment Brush, Radial filter or with Graduated filter(my favourite). Use same stats and save it as your own preset, that you can use later on. Only thing you HAVE to adjust is exposure, according to photos lighting. Worth noting is that you need at least some light source to give it a “legit” look. Use that preset to amplify that source.